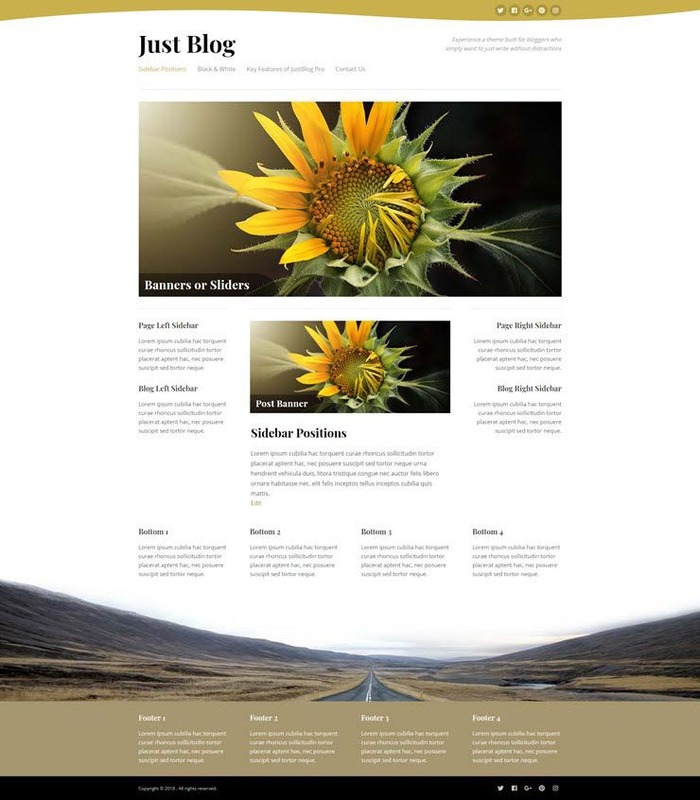 This is an introduction to sidebar positions made available for your website when using this theme. You get up to 17 sidebars, and groups of sidebars that sit side-by-side. These have dynamic widths which means you can have up to four(4), but when you publish 1, 2, or 3, they will self-adjust in width to fill the space the fourth one would normally take up.